Hamster anti Mouse, Rat CD178 / Fas Ligand MFL4. 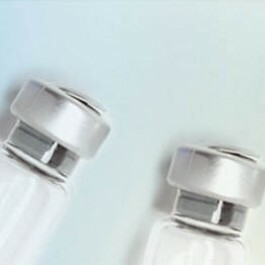 Product is tested for Functional assay, Flow Cytometry. Flow Cytometry: Use 10 µl of 1/25-1/200 diluted antibody to label 1x10e6 cells in 100 µl. CD178, otherwise known as Fas Ligand/ CD95L, a 40kDa type II transmembrane glycoprotein and member of the TNF/NGF superfamily, expressed by activated T cells and NK cells, which can be induced on a variety of cells by radiation, heat shock, chemotherapeutic agents and viral infection. CD178 acts as a key effector of cytotoxicity and in the regulation of immune responses. The binding of CD178 to its receptor CD95 (Fas), induces Fas-mediated apoptosis of target cells, and may be involved in the induction of peripheral tolerance and neutrophil chemotaxis. The binding of decoy receptor 3 (DcR3) to CD178 has been shown to inhibit CD178-mediated apoptosis. Trinite, B. et al. (2000) A subset of cytolytic dendritic cells in rat. J. Immunol. 165: 4202-4208. Watanabe T, Yoshida M, Shirai Y, Yamori M, Yagita H, Itoh T, et al. Administration of an antigen at a high dose generates regulatory CD4+ T cells expressing CD95 ligand and secreting IL-4 in the liver. J Immunol. 2002 Mar 1;168(5):2188-99. PubMed PMID: 11859105. Store the antibody undiluted at -20°C. Recognizes both Mouse and Rat CD178. Clone MFL4 is reported to block CD178/CD95 induced apoptosis.